Avendus Capital advises Valyoo Technologies on its Series C fund raise led by TPG Growth. 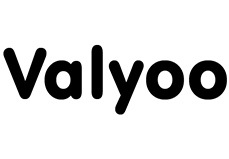 Valyoo Technologies Pvt. Ltd. (known as Lenskart.com) has raised Series C investment round led by TPG Growth along with participation from IDG Ventures and TR Capital. Lenskart.com will use the funds to enhance its technology platform and expand its offline footprint. This is TPG’s first investment in the digital space in India. Lenskart.com is the largest online eyewear portal in India; it has revolutionized the eyewear industry by leveraging its industry leading technology, stringent quality focus and wide assortment of contemporary choices to provide consumers with premium experience. Avendus is a leading advisor in the Digital & Technology sector and has advised on 30+ deals in the past 5 years. Last year the firm has concluded 28 deals across various industries and was amongst the top three financial advisors by overall number of deals in India (as per Bloomberg for CY 2014). TPG Growth, part of the global investment firm TPG Capital, invests in a broad range of industries including consumer, retail, technology, internet, healthcare, energy, transportation, industrials and business services. TPG Growth has about $4 billion under management, has a global presence, with offices in 8 cities and has an extended global reach through TPG offices in London, Paris, Luxembourg, Moscow, Tokyo, Sao Paulo, and Melbourne. Valyoo Technologies, founded in 2010, operates Lenskart.com – India’s largest online eyewear portal. Lenskart has revolutionized the eyewear industry in India by leveraging its industry leading technology, stringent quality focus and wide assortment of contemporary choices to provide consumers with premium experience. Lenskart.com is redefining the way eyewear is purchased in India through its innovative solutions like home eye check-up programme, try-before-you-buy, virtual studio, doctor partnerships and market leading customer service. Lenskart.com also operates branded stores in over 20 cities and owns the John Jacobs and Vincent Chase brands.